1 in 25 adults today suffers from dysphagia, a term given to a range of disorders that affect your ability to swallow. It is especially prevalent among the elderly and those who suffer from multiple sclerosis, dementia, a stroke, or injuries to the head and/or neck. 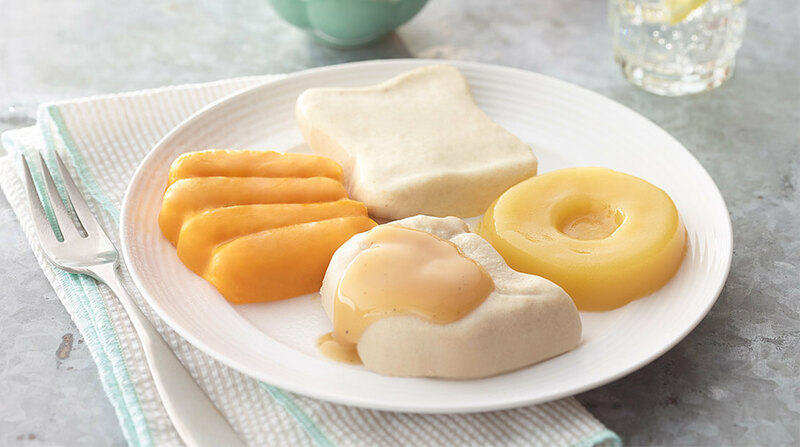 Today, according to Hormel Health Labs marketing director Tim Garry, most of those people get their nutritional needs through “baby food.” Those products are at the right consistency and texture for those with dysphagia to eat, but are often seen as poor quality-of-life options. Hormel Health Labs has a new range of products that look to improve on that, with over 30 new items available in their Thick & Easy meal kits, designed for folks suffering from these conditions. The meals can be simply steamed or microwave to reheat and eat, and were chef-crafted to make sure they capitalize on flavor. Each pureed meal kit comes with over 30 different items, enough for six lunch or dinner meals. Breakfast meal kits are also available, with enough food for nine different meals as an option. Choices include Maple Cinnamon French Toast, Roast Turkey with Stuffing and Green Beans, or Italian-Style Beef Lasagna, as examples. For those with dysphagia, these meal kits could represent a way to get taste and more crafted nutrition back into their lives while being able to control what they eat more.